The world’s rainforests - and therefore the world at large - are at risk from catastrophic climate change. In less than 50 years we have seen the destruction of over half of the world's rainforest environment from logging and ‘slash and burn’ farming. However the loss of the rainforest continues to progress at an alarming rate, equivalent to an area of two football fields every second! What is often not realised is that rainforests benefit everyone, and not just the local populations of where they are found. Rainforests store water, regulate rainfall, and are home to over half the planet's biodiversity, but more importantly they play a critical role in helping to limit the amount of fossil fuel emissions that build up in our atmosphere every year by absorbing CO2 as part of their normal photosynthetic process. The trouble is this, when they are cut down and burned not only are they then unable to absorb these emissions they actually release yet more CO2 into the atmosphere. Currently, rainforest destruction accounts for 17% of global CO2 emissions which is more than what the global transport sector releases. So where are the rainforests? 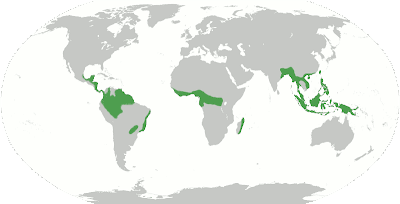 Many of the world's rainforests are associated with the location of the monsoon trough, also known as the intertropical convergence zone. As the name suggests, tropical rainforests are rainforests in the tropics, and they are mainly found in the equatorial zone (between the Tropic of Cancer and Tropic of Capricorn). 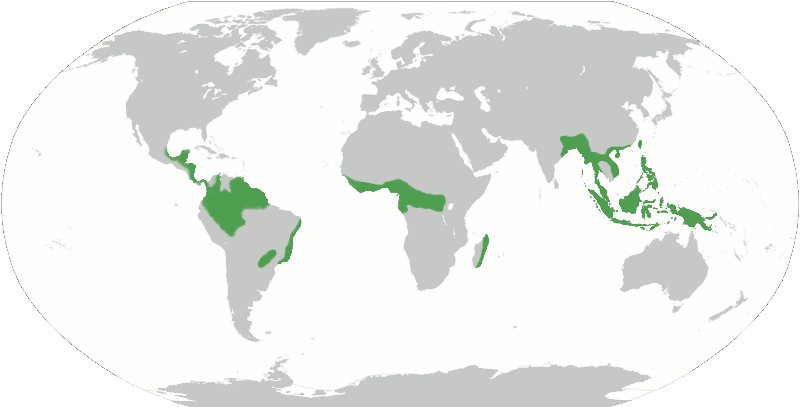 However, tropical rainforests are also present in south-east Asia (from Myanmar (Burma) to Philippines, Malaysia, Indonesia, Papua New Guinea and north-eastern Australia), Sri Lanka, sub-Saharan Africa from Cameroon to the Congo (Congo Rainforest), South America (e.g. 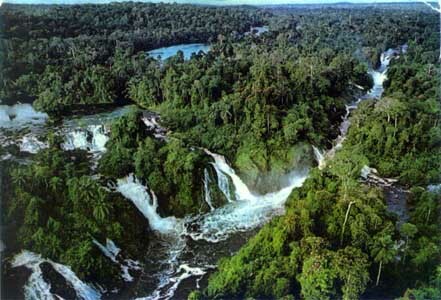 the Amazon Rainforest), Central America (e.g. Bosawás, southern Yucatán Peninsula-El Peten-Belize-Calakmul), and on many of the Pacific Islands (such as Hawaiʻi). Tropical rainforests have been called the "Earth's lungs", although it is now known that rainforests contribute little net oxygen addition to the atmosphere through photosynthesis.